How do the intellectual origins and historical background of western and other theories of development affect their relevance to contemporary Third-World conditions? This is the central question behind Gavin Kitching’s examination of ‘development studies’, first published in 1982, from its origins in the late 1940s through to the contemporary era. 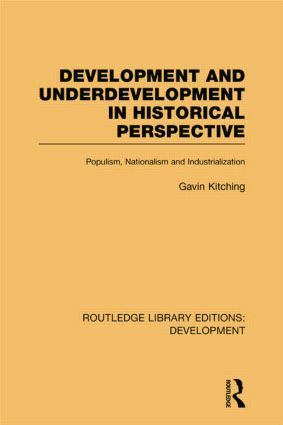 While presenting the contemporary ‘radical orthodoxy’ of development studies, Kitching argues that these theories are continuations of much older traditions of populist and neo-populist thought.